Bahco Lindström Cutters and Pliers have been the Brand manufacturer’s choice for high volume work and critical applications since the early days of the electronics industy, and are synonymous with high quality. Bahco Lindström have since developed Ultra-Flush cutters for anti-shock military applications, tapered and relieved cutters to get in between and under tiny components, super-radiused pliers to bend sensitive wire without scratching, and extra-small tip cutters for microscopy. 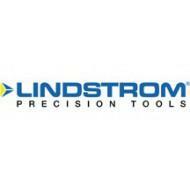 Lindström cutters and pliers are also widely used in the manufacture of medical devices and by hobbyists for jewellery and model making. You can download the Lindström product catalogue here.